Bidding in this auction, whether in person or through an agent, including but not limited to by telephone, facsimile or email, the bidder accepts all of the following Conditions of Sale. The highest bidder as determined by the auction manager shall be the buyer. The final price payable by the buyer will be the sum of the purchase price plus a commission of 10% of the purchase price plus the shipping fees. The purchase price is one raise above the second highest bid or the reserve price, whichever is higher. The auction manager has the right to reject any bid and, in the case of any dispute between bidders, to determine the successful bidder. In the case of tie bids, the successful bidder will be the earliest bidder. All bids are to be in whole dollars. Bids not in whole dollars will be rounded down to the nearest dollar. No bid below $5.00 will be accepted. All bids are per lot number in the catalogue. The auction manager may group two or more lots together, to withdraw any lot from the sale or to act on behalf of the consignor. The auction manager will execute bids on behalf of bidders, but will not be responsible for any errors in the execution of such bids. Any lot not properly described must be returned within 14 days of receipt. All returned lots must be shipped back in their original packing material in the condition as sold. 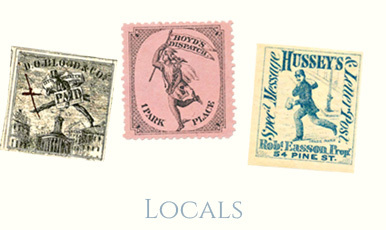 The following lots may not be returned for any reason: Lots containing 10 or more items; any lot described with “faults” or “defects” may not be returned for any fault or defect; any lot sold “As Is”; illustrated lots cannot be returned because of centering, margins or other factors shown in the pictures. An invoice will be sent to all successful bidders. Payment is due within 14 days from the auction. No lot will be shipped until the auction manager receives payment in full. Credit cards are not accepted as payment. 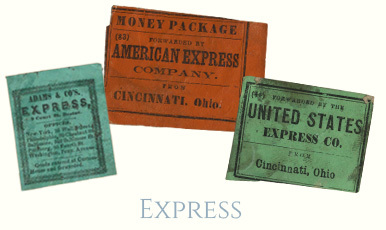 Foreign payments must be made in U. S. dollars drawn on a U. S. bank. All lots are sold as genuine unless otherwise specified. 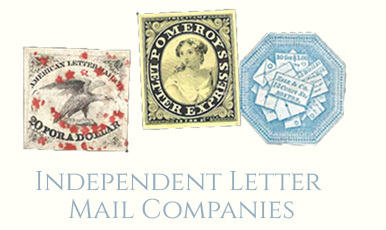 Buyers who wish to obtain a certificate for any item not accompanied by a certificate dated within the past five years, may do so provided that the following criteria are met: (1) the purchase price must be paid in full, (2) the item must be submitted to either the Philatelic Foundation or PSE with a properly completed application form within 21 days of the auction, (3) a copy of the application form must be sent to the auction manager, (4) in the event that an adverse opinion is rendered, the auction manager has the right to resubmit the item on the buyer’s behalf for reconsideration, without time limit or other restrictions, (5) unless written notification to the contrary is received, items submitted for certification will be considered clear 120 days from the date of the sale, and (6) in the event any item is determined to be “not as described”, the buyer will be refunded the purchase price and the certification fee. The buyer assumes all risk for delivery of purchased lots and agrees to pay for prescribed shipping costs. Shipping costs will be $1.00 plus the actual cost of insured/registered mail. 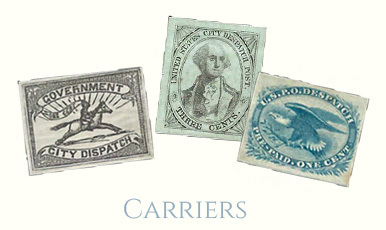 The bidder consents that any action against the Carriers and Locals Society regarding disputes may be commenced and maintained by the American Arbitration Association in New York City.